42. The ABC of Reading. London: Routledge, 1934. 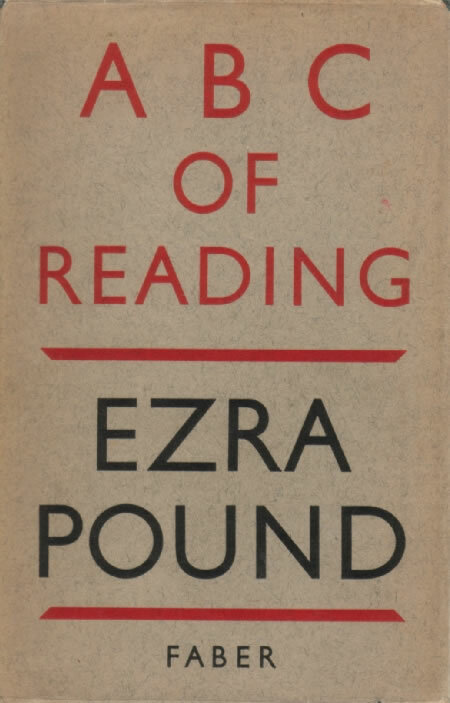 Reprint, New York: New Directions, 1960. In a section on the importance of condensation of traditions as well as of individual texts, Pound draws an example from Japan: ‘a Japanese emperor whose name I have forgotten and whose name you needn’t remember, found that there were TOO MANY NOH PLAYS, he picked out 450 and the stage LASTED from 1400 or whenever right down till the day the American navy intruded, and that didn’t stop it. Umewaka Minoru [Ap] started again as soon as the revolution wore off . . . ’ (p. 92). Tsukui (167) notes that ‘the first half of this passage is not based on any recorded history . . . although the last half is generally correct’.